JA Kulanite - template for online store is running Joomla 1.5. 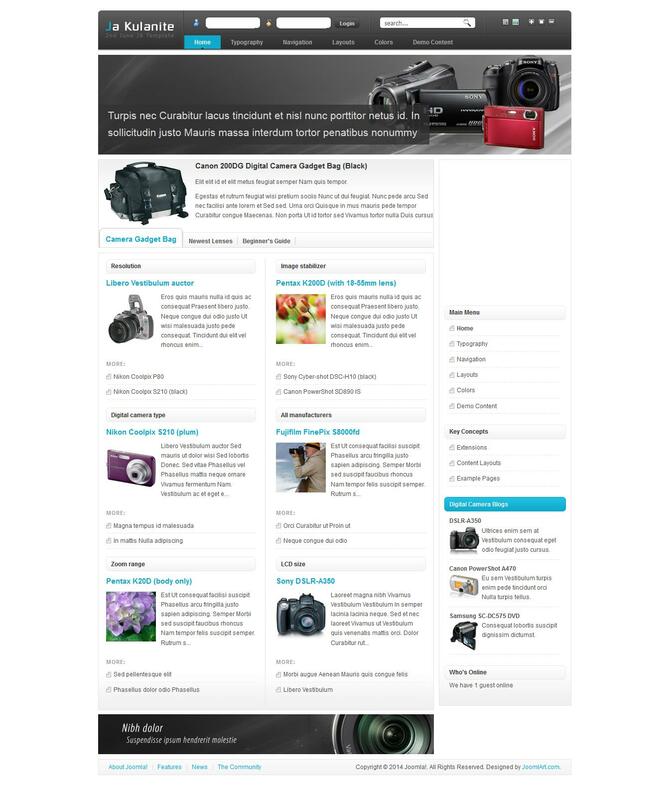 JA Kulanite 1.0 - stylish template for an online store of photographic equipment and electronics on Joomla. JA Kulanite effective pattern thanks to the support modules JA Tabs and JA News, which provide a convenient and attractive user interface. Template JA Kulanite allow to realize almost any projects without difficulty.